Management practices, such as fire and mowing, can affect the distribution and quality of roots and soil C and N in grasslands. We examined long-term (13 years) effects of annual fire and mowing on fine (<2 mm) roots and soil C and N content in a native tallgrass prairie at Konza Prairie Biological Station in northeastern Kansas, USA. Using 90 cm deep soil cores, we determined that fire and mowing independently and interactively influenced the quantity and depth distribution of fine root biomass, root C and N concentration, and soil C and N content. Annual burning increased total fine root biomass by 48% and total C storage in roots by 47% compared to unburned unmowed plots, and resulted in a deeper distribution of roots. There was a significant interaction of fire and mowing, whereby mowing reduced root biomass and root C storage by ~30% in annually burned plots, but did not affect total root biomass in unburned plots. Mowing also resulted in shallower distribution of roots regardless of fire treatment. Root N concentration was reduced by 15–25% in plots that were burned, mowed, or both. 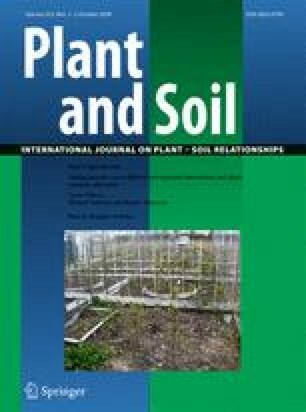 Mowing effects on soil C and N were restricted to surface soils (0–10 cm), where mowing reduced soil C concentrations by ~20% and N concentrations by 17% regardless of burning treatment. In contrast, burning alone did not significantly influence soil C and N concentrations. In general, root biomass, root C and N mass, and soil C and N concentrations declined with depth, and most responses to burning and mowing exhibited significant interactions with depth. Different long-term fire and mowing regimes can significantly alter belowground root biomass and C and N dynamics in grasslands, and in particular at depths in the profile that are not typically sampled. Support for this research was provided by the NSF-supported Konza Prairie Long-Term Ecological Research program, and by the Division of Biology at Kansas State University. We are grateful for field and laboratory assistance from A. Silletti, M. Stone, J. Nutt, K. Page, and the KPBS staff. This is publication 09-248-J from the Kansas Agricultural Experiment Station.